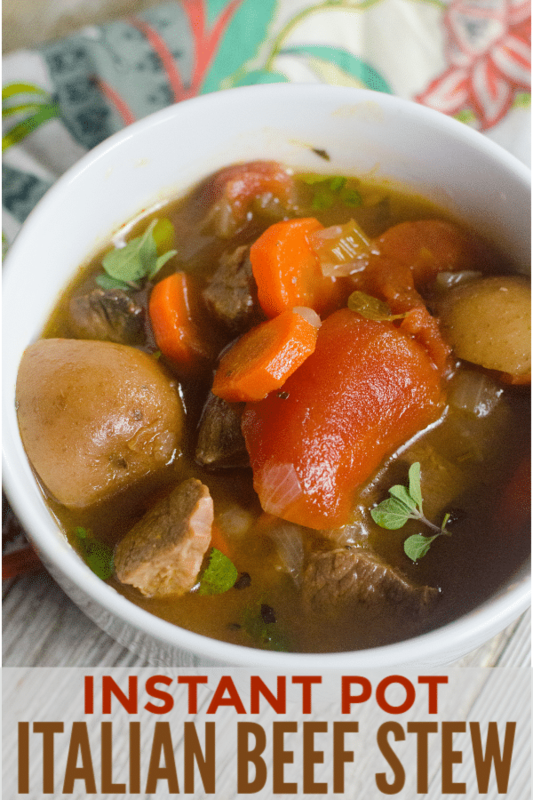 This Instant Pot Italian Beef Stew is a hearty, colorful, and nourishing meal in a bowl. And thanks to the Instant Pot, it’s ready in record time too! 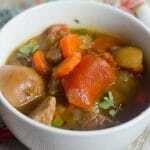 During Fall and Winter, I crave hearty soups and stews. One of my favorites is this Instant Pot Italian Beef Stew. I love everything about this recipe. It’s fast, easy, colorful, and flavorful. Best of all, everyone in the family loves it too! This Instant Pot Italian Beef Stew is a cinch to make. Just a couple of simple steps and a few basic ingredients. To begin, press the “Sauté” button on your Instant Pot. Wait for the display to read “Hot” then add olive oil, diced onions, minced garlic, and the beef to the pot. Cook until the meat is seared on all sides. Then press “Cancel” to turn off the pot. 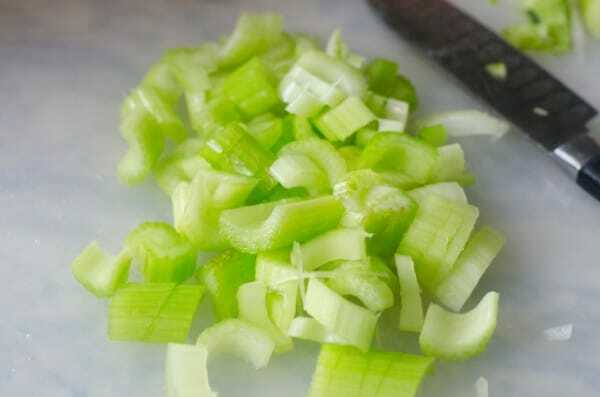 Next, add 4 carrots sliced into coins and 3 stalks of celery chopped into bite-sized pieces. 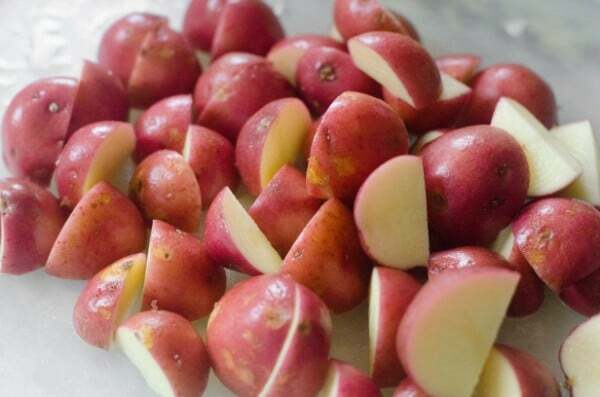 To with about 10 small red potatoes that have been quartered. Drain the liquid from two cans of stewed tomatoes, then add the tomatoes to the pot. Add 4 cups of beef broth and 2 cups of water. Don’t fill past the max fill line on the liner. Sprinkle in 2 teaspoons each of salt and pepper. 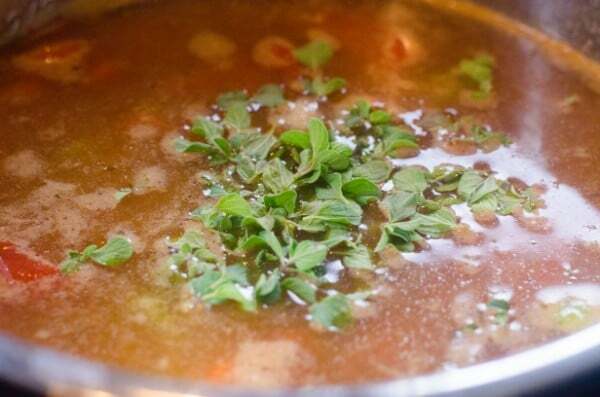 Also add 3 sprigs of oregano and some basil leaves. Stir the ingredients, then secure the lid and set the valve to sealing. Cook on high pressure (for most models, you’ll press the “Manual” button) for 20 minutes. When the pot beeps to indicate the cook time has ended, do a controlled quick release. In other words, gently move the valve slightly towards venting. If it starts to spray liquid, move it back toward sealing and wait a minute. When the pressure has fully released, carefully remove the lid and serve! 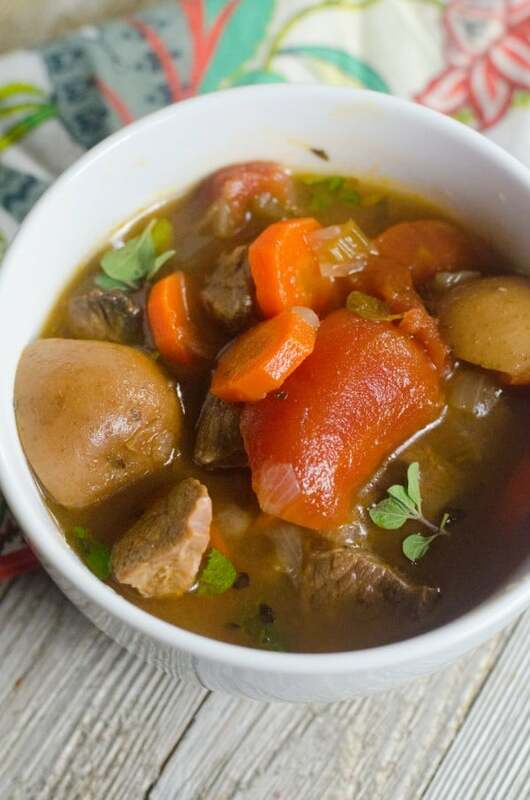 Want to print out the recipe for this Instant Pot Italian Beef Stew? 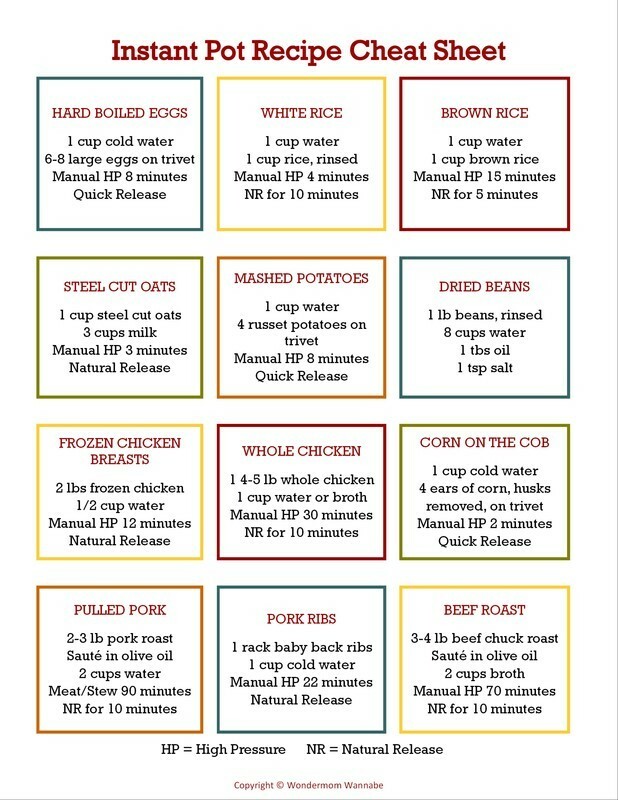 Just click the “print” option in the recipe card below. Set the Instant Pot to saute. When display says "Hot" add the olive oil, diced onions, garlic, and beef stew meat. Cook, stirring constantly until the beef is seared on all sides. Turn off saute mode. 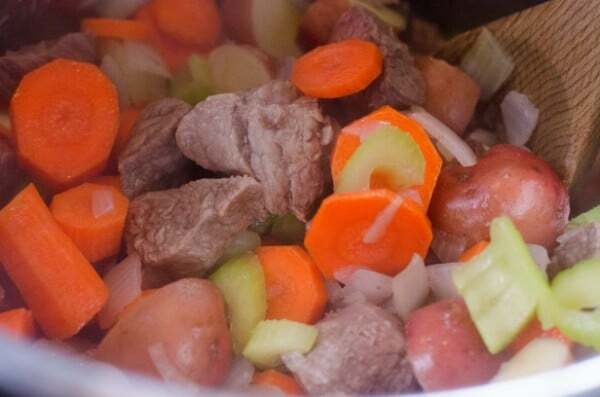 Add sliced carrots, chopped celery, quartered potatoes, and two cans of stewed tomatoes to the pot. Pour in beef broth and water. Make sure liquid does not exceed the max fill line. Secure the Instant Pot lid and set to sealing. Set to high pressure for 20 minutes. Do a controlled quick release of the pressure when the timer beeps.